Extremely excited about 2018 as I will start a close collaboration with But What About (BWA): a young and promising Dutch ensemble for new music from The Hague. I will join BWA for their project Disrupted Transmissions – focussing on ideas of language and communication. Fitting in my piece Tele Drumming (2016) as well new work tailored for BWA. Alongside existing pieces such as Aphasia by Mark Applebaum, Coming Together by Frederic Rzewski, Gesprek by Martijn Padding & Louis Andriessen, Cheating Lying Stealing by David Lang. Tour dates in NL tba. Today – after an incredibly long summer and autumn break – started new studio sessions with the acoustic trio around Abel Fazekas & Riccardo Marogna on bass clarinet and me as a soprano. It’s so lovely to develop new repertoire. 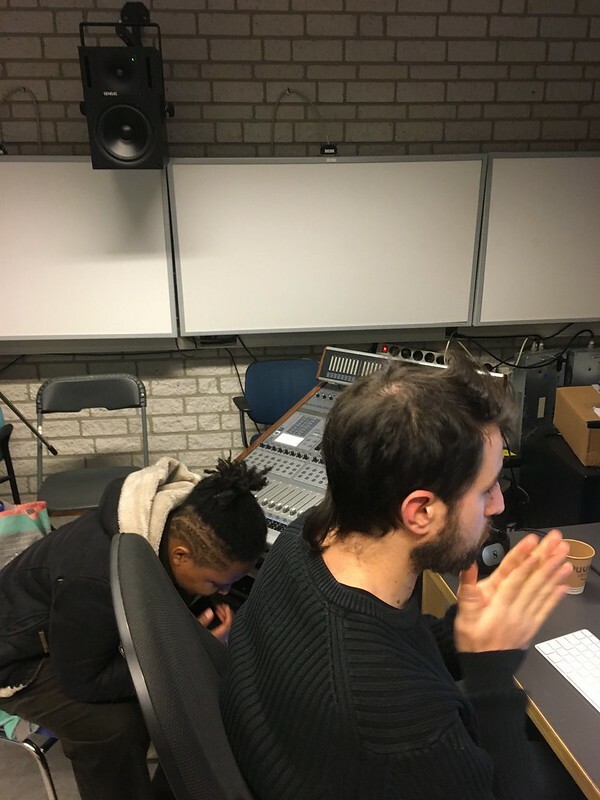 Before the end of the year we will also edit and mix all the material for our debut album. Exactly a week ago a new collaboration between Maya Felixbrodt, Samuel Vriezen myself & Studio Jonas Staal was born at Propositions #2: Assemblism (at BAK, Basis voor Actuele Kunst, in Utrecht). 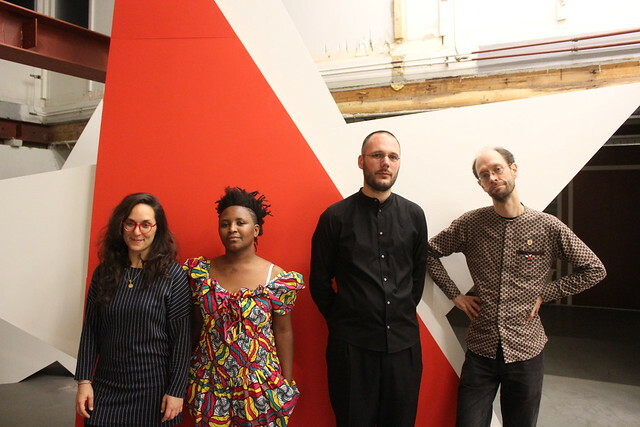 We were experimenting with an unusual combination of political activism and compositional thinking – resulting in an extremely uplifting and also mind bending live performance experience: the then heard voices & sounds, discussions, statements and question marks, will certainly continue resonating within us. Now hoping, actually planning,… to bring this to live again, in updated formats, new gatherings and assemblisms, somewhere in the (near) future. 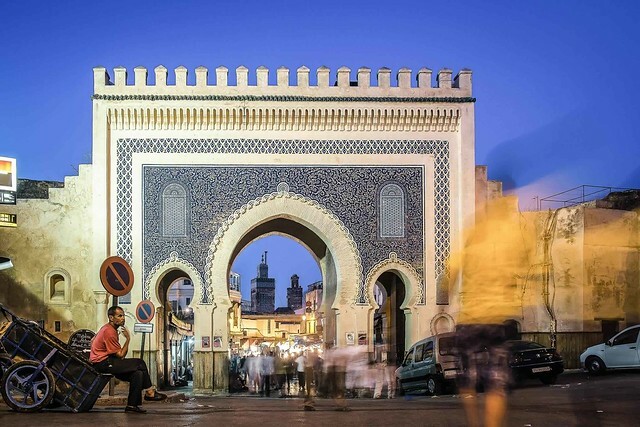 Early 2018 I’ll be heading to Northern Africa as I am invited as keynote speaker at Fez Gathering III and a short artistic residency at Fez Medina Project in Morocco. Will be also my 1st (field recording) visit to that part of the continent. Theater Perdu - curated by Christian Nyampeta: w.